Download zip file and copy all file and folders as per zip. Let me know if you want more help from me. Thank you to use our #Optionswatches extension. I hope you will add good feedback on our extension page or on this page. 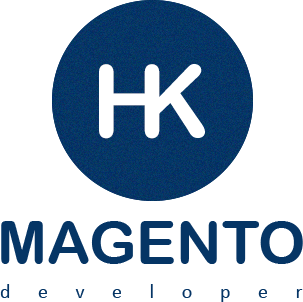 Which magento version you are using? Can you please share your list page url? OR contact us via our contact page. Hardik is nothing less than a genius! This extension works out of the box for all dropdown option selects, had a minor issue with multiselect options - But Hardik toke the challange and is now working on a solution. This man saved my life today and I'm very thankfull! Good job. Thank you. I would like to recommend two things. First colors are listed vertical by default, this is a html/css issue in your theme. Second initial options drop down list appears for 300 ms the disappears, you should get rid off this list from the very beginning by commenting the code for it. If your extension is used do not include select tag in page source code even you place it -9999. Can you do this? I will take a look in my next update. Excellent module. Helped me a lot. Hi, I have installed the module, but when I click on HK Optionswatches Settings, it show me 404 error page, how can I fix this problem? Just logged out from admin and relogin to fix this issue. Hi dear, work with 1.9.3.1 Version? (In this version flash upload is deprecated). Hi Hardik Thanks, great job.I installed extension with success. Can i modify it to show option swatchs in Quick View window page too? if yes can you point me ? I wonder whether you have seen this done for Magento 2.X? I am unable to download. I have already liked your page. Please help. Hello please email me i will send you link. I have used amasty quick view extension on popup your color option-swatches-module is not working, please give me solution how to fix this issue? Thank you for your extension. I would like to ask you about three important changes in your extension behavior. First issue is how do I hide the dropdown elements during the page load? As it is now, your script waits for loading the page then swatches replace the dropdown. This is an annoying effect you should avoid. Second issue it is very important to inform the visitor about what he selects as name behind. As it is now I click on red swatch but this swatch could have a name like "Tibetan Red". If I would like to ask the store about availability I don't know the color name. You should fix this enabling/disabling showing the option value, next to the option label like this Manufacturer (Asus)). Without any selection it should be only Manufacturer. And third, allow changing product base image when click on a swatch which has the value the same like the image alt value. For example you have a swatch Color:Red then one of your product image has alt value Red. Once you click the product base image changes. Last but not the least, a personal opinion just remove the feature for category page because it only shows swatches. When there are more than one option label the layout will change in bad. Visitor expects to click on a swatch to change the product image. This feature is not helping at all. It is a huge difference between the behavior using Magento default swatches in configurable products and what this extension offers. Thank you. Please contact me on hkpatel201@gmail.com for further discussion.